By Inte Gloerich, October 5, 2017 at 12:08 pm . In technologically-enabled society, the selfie has become the intersection between digital narcissism and fungible identity. Famous images of throngs with their backs to famous paintings and presidential candidates underscore the necessity for proving one’s existence through tagging the moment with the photographer’s face. However, with the rise of “augmentation” (AR-based props and ‘beautification’) through programs like Snapchat, Meitu and FaceApp that add props, “cutify”, and gender swap, heterogenous issues of identity politics are made evident. What are the issues relating to “beautifying”, whitening, gender swapping, and augmenting the self-portrait, and what are the lines between self-imposition of these roles and the inscription of agendas by capital and disparate cultural norms? Somewhere between 2015 and 2016 my interest in digital processes and Augmented Reality had turned to filters and overlays in phone apps. I even saw noted curators and artists posting Snapchat overlays to their feeds since 2015, which began my interest in what I call the augmented selfie. From this, I did numerous experiments with these apps until I came upon a conversation on Facebook. In late 2016, I came upon a Facebook conversation between Rhizome Art Director Michael Connor and NYC-based cultural theorist Nora Khan discussing identity politics, with a picture of herself. From my standpoint, seeing a Pakistani-American (admittedly she was doing it critically in the thread) feed herself through algorithmic “Cutifying” and whitening through a Chinese beautification app that has entirely different cultural politics left me breathless. This simple gesture made visible the proposition of postinternet social conditions supposedly draining any subject of meaning that I wanted to explore this process through a number of methods. These would form the body of my work, Horror of the Gaze. This would “Cutify” a body of pirated Facebook portraits, notable historical portrait-based art, and the beautification of dictators in an attempted semiotic swap. This process revealed intercultural, identity, art historical, and political issues that as an American, white, middle-aged, cisgender male, challenge my position greatly, and I disclaim that position as one of honest analysis and inquiry that I humbly present to the public. 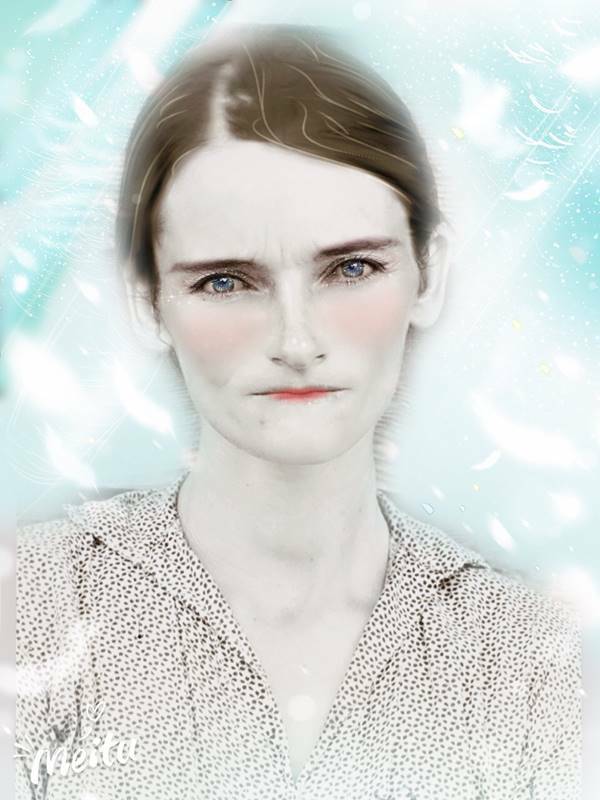 Upon doing a few experiments after the Khan/Connor conversation I decided to create The Horror of the Gaze, in which I used Meitu to “cutify” nearly 100 artists, scholars and curators from around the world. As these “Cute” versions of my community began to circulate, questions of privacy, control of personal images, colonialism, and the politics of “whiteness” began to arise. In discussing these issues in my own Facebook feed, I was reminded of the work of Sianne Ngai. In Our Aesthetic Categories, Ngai discusses the mediation of the “Zany”, “Cute”, and “Interesting” as obfuscating affective issues of hypercommodification, colonialization, and stereotyping. Each obscures hidden agendas of objectification and hidden anger. “Cuteness” is often a scrim for other, darker agendas with the Japanese artist Takeshi Murakami, whose smiling “Mr. DOB” is a post-nuclear nationalistic reappropriation of Mickey Mouse. In the case of Meitu, it is a double signifier for the Asian perception of paleness, and cuteness, which are distinctly different from the Western perceptions of the aesthetics used in the app (paleness, large, watering eyes, pronounced lips). It is important to consider the conflation of racial and cultural tropes in play by the use of these apps. How does one culture’s digital selfie filters map onto others? Gayatri Spivak, in the Translation Studies Reader, states that accuracy in translation requires affect for the subject, and do these modes of production have these qualities. And if McLuhan’s adage of the medium being the message is true, what can we ascertain is being said by Meitu remediations of cultural identity? With Meitu, of course there is no affect; this is a “cutification” app created within an hypercapitalist authoritarian society that has been criticized for its aggressive personal data harvesting (but Meitu does arguably no more so than Facebook). The emergence of this app in Western spheres of influence conflates so many cultural tropes. Some of the notions in play are the Anime-fication of the head to match large eyes and infantile head structure as in Japanese and Korean animation. The idea of kawaii or the Japanese notion of cute comes from a mix of infantilization and large eyes, etc, popularized by Isamu Tezuka from inspiration of Western animators like Walt Disney, and his seminal piece, Steamboat Willie. Also in play is the East Asian notion of paleness/fairness of complexion, as well as the East Asian “kawaii” cultural practice of popular photo sticker and selfie culture. Laura Mulvey in her seminal essay, Visual Pleasure and Narrative Cinema, constructed the notion of the male gaze and the objectification of the female body in cinematic space. However, when we are confronted with the operator and the subject being one and the same, what are the semiotics of the post cinematic, knowing that such a proposition is a book in itself? I would propose that in the case of Meitu, it is the technological apparatus and panopticon of international neoliberal capital, ostensibly male, that operates the gaze. But in this case, the hegemonic force might be more systemic, and the gaze is a self-reflexive machine gaze shaped by the corporate agendas of Meitu’s parent company, and perhaps even the Chinese government? The Post-Cinematic gaze here, being centered on the cute, operates on somewhat different terms. 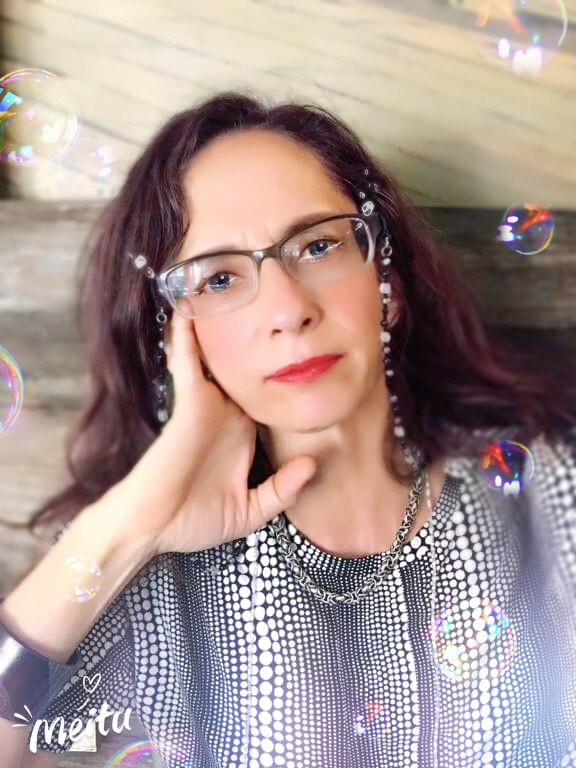 The most enriching conversation came from the Meituification of Dutch artist and theorist Rosa Menkman, who objected to the unauthorized detournement of her image and imposition of Meitu’s rules. Although the conversation problematizing ownership, agency, and personal colonization by others certainly ranged from the nature of the work to those of Facebook owning user content, something else arose. The idea of a white cisgender American Male imposing a Cutification program on an already white Dutch female, making her whiter, and imposing an alien beauty protocol caused me to wonder about whiteness and the notion of the “cute”. Asian notions of whiteness, according to Kepnes, are not historically linked to race in the Western sense, but more closely to matters of class or caste. In Thailand, there is a creation story of people being cooked too little or too much, and those who are lightly colored and cooked “Just Right”. But more importantly, in Southeast Asia, the darker people were the poor; they were the ones who had to work in the field while the gentry retained whiteness. The East Asian notion of whiteness also maps into Southeast Asian practice of using whitening creams and the attitudes surrounding them, a recent example being a Seoul Secret ad in Thailand saying, “Just being white, you will win.” One key difference in regards to the difference between Occidental and Oriental notions of race versus class, or even caste. And especially in China, perhaps this is expressed in the fact that the person who can “look” white can afford the technology for them to augment themselves to appear so. This is very different than the construction of race in the West. Race as a discourse emerged in large part through the work of naturalist Johann Friedrich Blumenbach. His seminal book, On the Natural Variety of Mankind, is the seed for Western racial identity politics where he codified physiological differences and matters like beauty in terms of the natural development of the human species. The book would create scientific rationales for racial superiority, European colonialism, Rudolf Steiner’s theories on the spiritual development of humanity by race, eugenics, and even the Holocaust. His passage regarding the physical nature of the Georgian people, and his thought that all other races devolved from their perfect whiteness, hints at the core of Western white supremacy and colonialism. In the colonialized world, the ideas of race, fitness and control would arbitrarily be passed on those in power, such as the Belgians’ creation of the myths between the Hutus and Tsutsis in Rwanda, eventually leading to that genocide. Therefore, although all global rationales for assigning superiority through color is unjust, the social context for each appear to be highly different. The steps after the initial Horror series took different critical methods to look at the nature of meaning and colonization of the gaze under different regimes. Does, as it has been argued by Provan, internet culture drains the meaning from everything? My next steps were to map “Cute” selfie culture onto classic portrait-based art, such as Sherrie Levine’s After Walker Evans, Steve McCurry’s photo of Afghan refugee Sharbat Gula, and a classic photo of Frida Kahlo. In asking, had the technology would have existed, would the subjects have subjected themselves to this sort of filtering, created vastly different results. The starkest transformation was After Walker Evans in that the black and white photo was colorized, the abject woman of the American Depression was given lipstick, blue eyes and placed in an angelic situation, inferring a sense of peace. The famous Kahlo photo, seemed the most believable as a person with some agency who might have seemed possible to do such a thing. Of the three, the Gula photo, due to its context, was most supportive of the turn towards meaninglessness as it did take a powerful moment in time and drain its semiotic value. The third series took famous dictators and put them through that visual regime – the result was to make Stalin into a mere meme. In my opinion, a logical extension would have been to take other symbols of evil and cutify them, and this quickly became a banal exercise. In regards to “cuteness”, Ngai writes about the infantilization of the subject, as the Anime character’s head typically is more V-shaped like a baby, with larger eyes. This infantilization establishes a power relation of loving condescension to the “cutified” subject, even if to put it in a parent/child relationship so that we identify more closely with the subject of the photo. This was certainly the case with the portraiture and classic dictator (Stalin/Hitler) pieces. This is a “postcard” from a body of work in progress, as of this point in time, programs like Meitu embed and reveal cultural stereotypes and normative positions that create odd mappings across cultures. The Horror of the Gaze, in looking back into machine regimes such as Meitu, explores differing level of affect through contextualizing augmentation of the selfie in wildly different contexts. Taken out of the everyday frame, selfie augmentation software mutates the subject, bending semiotic relations between regional identity politics, objectification of the subject/self, personal control, and corporate agendas/marketing. All of these issues are endemic if the postinternet condition, and programs like Meitu lay bare the social face of the networked self.